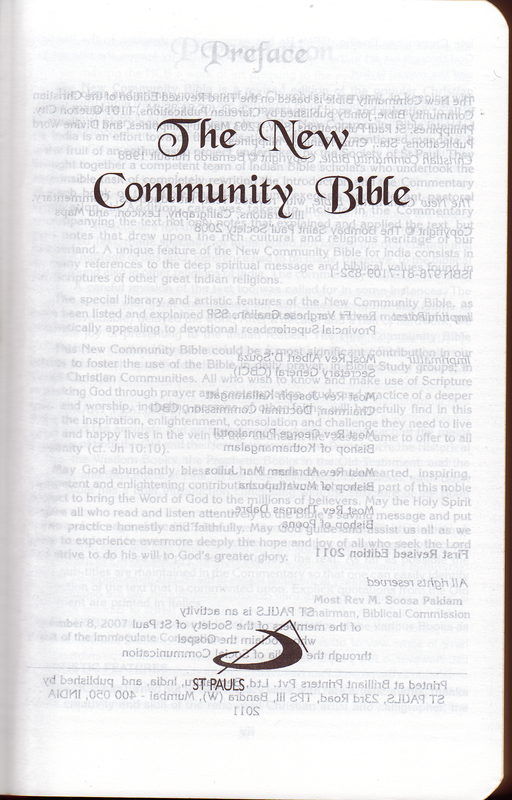 Click here for sample verses from the New Community Bible. Publisher: Mumbai (India): St Pauls – The Bombay Saint Paul Society. 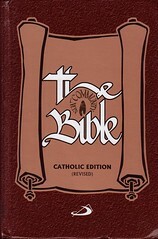 Contents: Complete Catholic Bible with introductions and commentaries on each book. Translated from unspecified Hebrew and Greek. Comments: Hardbound 8vo. XXII and 2282 pp. 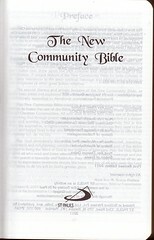 »The New Community Bible is based on the Third Revised Edition of the Christian Community Bible« (published in the Philippines since 1988). It is especially intended for Catholics on the Indian subcontinent. A typical page of the NCB has 3 items, viz., the text, the commentary and a box placed in between containing cross references. Birnbaum´s remark: A non-Catholic reader might be puzzled about this statement. How can a pagan religion (Hinduism, Brahmanism) contribute deep spiritual (?) messages and biblical values (?) to a reader to whom is promised he surely will find all freedom, wisdom and truth (=dis-concealment) in the Jewish Messiah? Even if these messages and values are only referred to in the commentaries! I understand a "deep spiritual message" is a message conveyed by the Spirit of the Biblical God, not one issued from an unclean spirit of a religion. 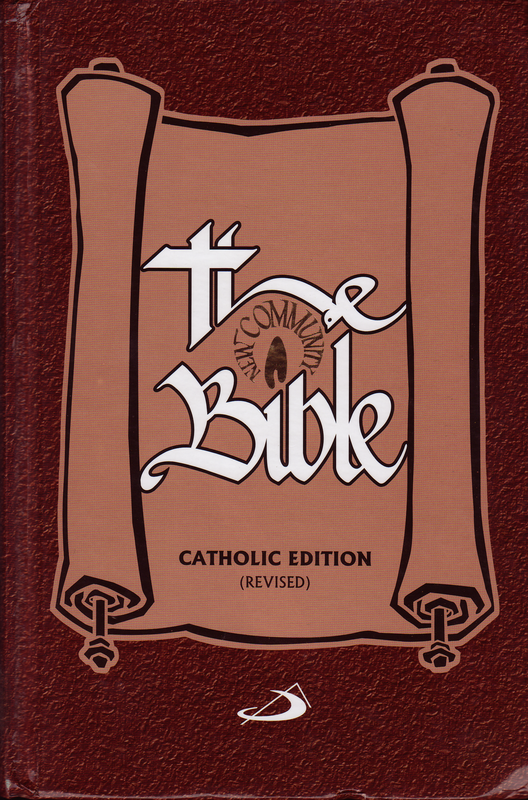 – This Bible has in consequence received massive criticism for its syncretic comments (not the translation) when it was first published in 2008. Nevertheless the original Preface has been retained with a small chance in wording for this 2011 revised edition.